Get your skin ready for the Holiday Season! 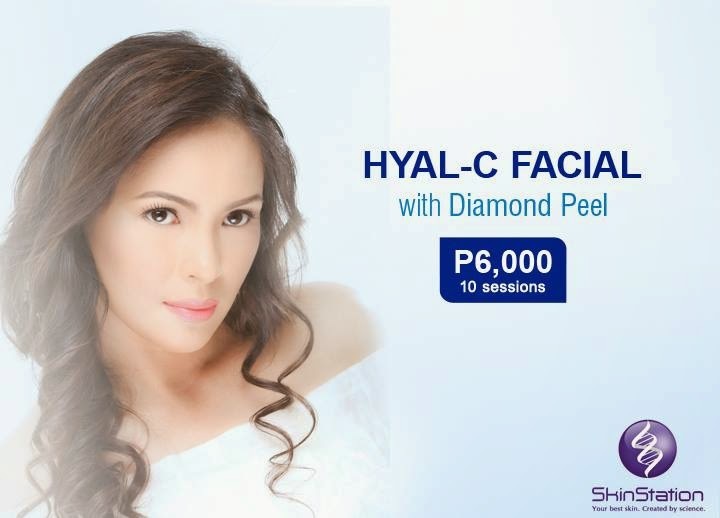 Check out Skin Station's HYAL-C FACIAL with DIAMOND PEEL Promo! Enjoy 10 sessions for only P6,000 until November 16, 2014. Available in all SkinStation branches. Hyal-C Facial with Diamond Peel is most beneficial when done every two weeks. Cash and credit card payments are accepted. Please check HERE for list of SkinStation branches. You can also purchase this promo online through this link HERE. Read more on the common misconceptions on facials HERE. About trips and also travels- although any quest, chanel replica online clutches really are a need to carry items. Lambs buckskin has also a distinct wrinkled result as a result of means of obtaining the particular root excess fat through the strategy of buckskin creation. fake hublot You will need to decide the location where the owner obtained the particular carrier and also exactly why the seller provides made a decision to devote that. prada replica Internet vendors is the a good idea web sites in which it is possible to become suspected to be sure any discount artist from suppliers bag carrier which includes fantastic special discounts having an lengthy form of favored decorator, high-end business items. chanel replica Write-up Resource: Presents information on buckskin clutches. With all the World wide web with every person's tips of the fingers, fashion provides distributed greatly. fake prada sale That's females can typically become out there in search of in which newest artist clutches.